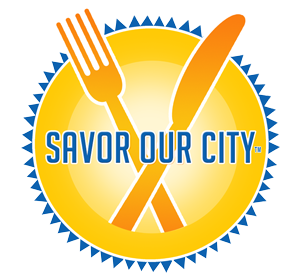 We had 17 people attend our inaugural “Savor Downtown Boca” tour, the first in a series of three taking place the third Wednesday of the month through January. Check out what Shaina Wizov from Take A Bite Out Of Boca had to say about the Nov 19th tour. The next tour is coming up on Wed, Dec. 17th and takes place from 5:30 – 9pm and will make stops at La Stella’s, Spadini’s, Boca Skewers, Souvlaki Fast, Jazziz and Le Macaron. As a nod to the Jewish Holiday (it will be the second night of Hanukkah), a special latke tasting will be provided at Jazziz, one traditional and one eclectic one will be presented by Jazziz’ Chef. The final tour in the series will take place on Wed, Jan 21st, also from 5:30 – 9:00pm, this time heading back to Royal Palm Place to pick up a few of the restaurants we weren’t able to get on the first tour, such as Estia Greek Taverna, Casimir Bistro, Piattini before strolling down SE 1st Ave for stops at 4th Generation Market, The Olive Tree and True.